As far back as Aristotle, philosophers and researchers have explored and attempted to conceptualize the human individual sense of responsibility. Interest in responsibility has been so widespread that it has crossed domains as diverse as moral responsibility, leadership, job design, prosocial behavior, and scholastics. While the vast research on responsibility has made significant advances in offering definitions and descriptions of responsibility, determinants, and outcomes of responsibility, and the influences of responsibility as a mediator between other variables, a gap has remained in the literature for a generalized model and theory of responsibility, one that unites diverse approaches to responsibility and can be applied across domains. What is responsibility, and what kind of a construct is it? If responsibility is a multidimensional construct, what are its manifestations, and how is it distinct from other, but similar, constructs? How is responsibility viewed in an organizational context? What are the outcomes when individuals take responsibility? In a recent study published in the journal Personality and Individual Differences, we sought to narrow the gap in our theoretical understanding of responsibility as a construct. In doing so, we conducted a literature review that led to the development and proposal of a multi-layered taxonomy of the different conceptualizations of responsibility. The taxonomy facilitates distinguishing the conceptualizations of responsibility into one of two approaches, attributed or internalized, and then into one of four modes: philosophical, retrospective, prospective, or characteristic. For the purposes of our study, we focused on the mode of responsibility as an individual characteristic. Using the taxonomy to focus our area of interest on responsibility as an individual characteristic, we conducted a literature review to discern the dimensions that are the most likely theoretical manifestations of responsibility. Using the methodology of a lexical analysis, we sought to identify the recurring and prominent facets of responsibility. Such lexical analyses have a long and effective track record, such as the development of the Big Five factor structure of personality traits. From the lexical analysis, we began to conceptualize responsibility as a multidimensional latent construct with the following five manifestations: accountability, commitment, concern for others, dependability, and initiative. Seeking to extend our study from the theoretical realm of our taxonomy and our initial conceptualization of responsibility, we advanced by conducting a qualitative study with semi-structured interviews to learn from leaders and managers, through their first-hand experiences, how they viewed responsibility, what conditions they found can foster taking responsibility, and what beneficial outcomes they observed when they or others take responsibility. We developed an interview guide that aimed at achieving a balance between stimulating an engaging conversation with our study participants and eliciting insights toward answering our study questions. We interviewed forty participants that included managers and supervisors in an operational-level military headquarters and a diverse set of doctoral graduates from a private university. The interviews affirmed and expanded the research that we had achieved in the literature review. In addition to confirming the five dimensions proposed in our initial conceptualization of responsibility, we discerned a sixth manifestation of responsibility and labeled it receptivity. Our research and interviews also provided strong evidence that there are antecedents or determinants to responsibility that can be positive or negative. The prominent positive determinants of responsibility are having a sense of purpose (an aggregate of a sense of importance and urgency), being trusted by others, having mentors who role model responsibility, and experiencing a significant event that triggers a greater sense of needing to be more responsible. The prominent negative determinants are feelings of self-doubt and the perception of gateway tasks, which are initial, simple tasks that inevitably lead to a never-ending stream of direction and subsequent tasks. Just as there are positive and negative determinants to responsibility, we also found strong evidence of positive and negative consequences for taking responsibility. The positive consequences include stimulating feelings of positive self-concept and creating new opportunities for increasing levels of responsibility, what we might describe as making it easier for luck to find us. The negative consequences of taking responsibility can include increases in the frequency of conflicting priorities in where to spend limited personal resources, such as time, as well as experiencing increased levels of stress. In summary, we developed and proposed a taxonomy of the different conceptualizations of responsibility. We also developed and proposed a theoretical model of responsibility as a multidimensional latent construct underlying six manifestations: accountability, commitment, concern for others, dependability, initiative, and receptivity. 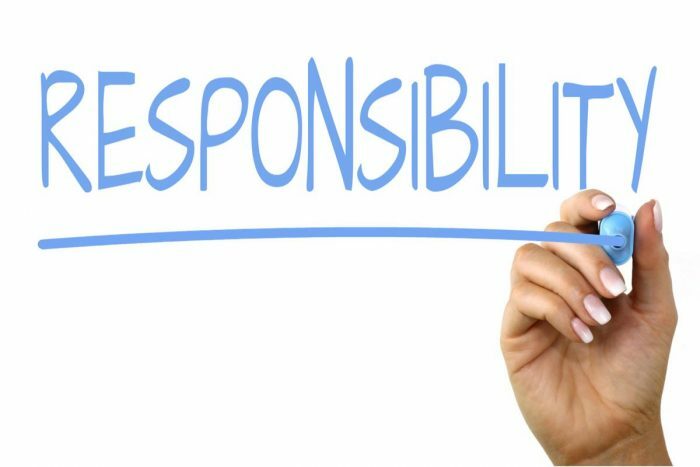 Our model of responsibility also identified internal and external determinants to taking responsibility, as well as positive and negative consequences of taking responsibility. Our study should be of interest to leaders, managers, and others because it can help them recognize behaviors that are manifestations of responsibility, help them nurture individual and environmental determinants of responsibility, and help them maximize the positive outcomes and minimize the negative outcomes from taking responsibility. Additionally, our qualitative study of responsibility supported our taxonomy, the theoretical model, and a set of seventeen propositions that can be useful in future research aimed at advancing our understanding and appreciation of our individual sense of responsibility. These findings are described in the article entitled Toward a taxonomy and unified construct of responsibility, recently published in the journal Personality and Individual Differences. This work was conducted by William E. Holdorf and Jessica M. Greenwald from St. Ambrose University. William E. Holdorf is a researcher affiliated with St. Ambrose University. His research focuses on the psychological construct of responsibility and related features. 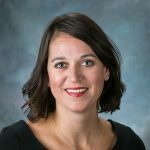 Dr. Jessica Greenwald is an associate professor at St. Ambrose University in the Department of Management. Her main areas of research are Motivational Psychology, Work Psychology, Self-efficacy, I-O Psychology, Organizational Behavior, Resilience, Work Motivation, Self-Regulation.